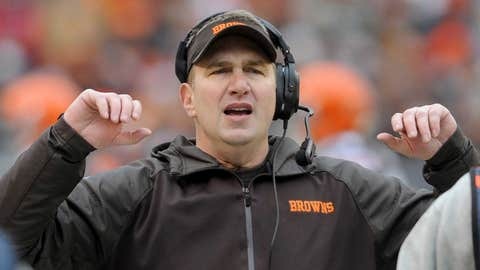 BEREA, Ohio — The Cleveland Browns have relieved Head Coach Rob Chudzinski of his duties, the organization announced Sunday night. "We appreciate Chud’s passion for the Browns, and we have great respect for him both personally and professionally. We needed to see progress with this football team. We needed to see development and improvement as the season evolved and, unfortunately, we took a concerning step backward in the second half of the year. "Our fans deserve to see a consistently competitive team. We have high standards, and there’s an urgency for success. When we believed we were not positioned to achieve significant progress in 2014, we knew we had to admit that a change was needed, and move forward. "Browns fans are the most loyal and passionate supporters in the NFL. We’re fully committed to bringing them the winning football team they deserve."